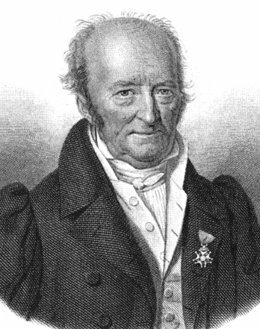 Latreille was a worthy member of the elite group of French naturalist zoologists who dominated the subject in the decades just preceding and following the beginning of the nineteenth century. Latreille's work lay mostly with the insects; above all it was he who developed the first lasting "natural classification" system of the arthropods by taking into account numerous different characters. Latreille was Lamarck's assistant for many years, but unlike the older man was unable to accept the notion of large-scale change in living things, strongly preferring to view nature as designed by divine wisdom. Still, he was able to recognize a number of zoogeographical patterns whose basis would only be understood later through the aid of evolutionary theory--for example, east-west and north-south diversity gradients, the inability of similar climates to explain the existence of rather different faunas, dispersal centers and examples of vicariant relations, and inter-continental faunal affinities. He is also remembered as an early voice stressing the importance of keeping accurate locational and altitudinal records for specimens collected in the field. --born in Brive-la-Gaillarde, Limousin, France, on 29 November 1762. --dies at Paris, France, on 6 February 1833. --Dictionary of Catholic Biography (1961). --Annual Review of Entomology, Vol. 19 (1974): 1-13.